His main argument was based on a study of magnetic compass variations, which led him to believe that the earth had two pairs of magnetic poles: a stationary pair, and a pair (located in Spitzbergen and south of the Americas) that were slowly drifting westwards. To explain this, he argued that the stationary poles were embedded in the earth’s outer sphere, while the moving poles were embedded in an inner sphere, which rotates slightly slower than the outer sphere. Another of his arguments was based on incorrect figures given in Newton’s Principia (1687). Assuming that the earth’s mass is 26 times the moon’s mass and that the moon’s density is therefore greater than the earth’s (in the ratio of 9:5), he argued that for the earth to have the same density as the moon, five-ninths of the earth’s volume must be ‘cavity’. According to the modern figures, however, the earth’s mass is 81 times the moon’s mass and the earth is 1.67 times denser than the moon. Left: Portrait of Halley aged 80, holding a drawing of the hollow earth. Right: Diagram from Halley’s 1692 paper. Halley himself never abandoned his theory. In 1716 he argued that spectacular displays of the aurora borealis were caused by luminous vapours escaping from earth’s interior through the relatively thin crust in the polar regions. 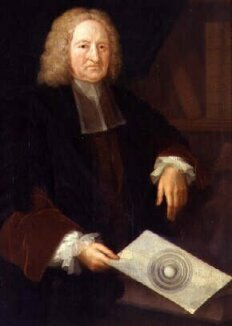 And in a portrait of him as Astronomer Royal, painted in 1736, he is seen holding his drawing of the hollow earth. Sir John Leslie (1766-1832), a Scottish physicist and mathematician, believed that, if the earth were entirely solid, it would be unimaginably denser than it is known to be. He drew this conclusion from his views on the compressibility of matter under the action of gravity; unlike most other scientists, he believed water was compressible. He therefore proposed that the planet must be hollow, its crust or shell being only a very small proportion of its diameter, and that the ‘vast subterranean cavity’ was not an absolute void, but was filled with ‘the purest ethereal essence, Light in its most concentrated state’.8 Contrary to what some writers have claimed, he did not say that it contained two suns, Pluto and Proserpina.9 Leslie did not win any support for his ideas from his scientific peers, but Jules Verne’s classic tale Journey to the Centre of the Earth (1864) was partly inspired by his ideas. everywhere we find evidences of symmetrical crushing-in of the earth-crust by tangential stresses. Everywhere we find proofs that different layers of that crust have been affected differentially, and the outer layers have been folded the most. We seem to be dealing, not with a solid globe, but with a globular shell composed of many layers. It is difficult to see how a newly forming planet could become a series of concentric spheres. But Symmes managed to interpret the rings of Saturn and the cloud belts of Jupiter as evidence for his theory. His arguments for gigantic polar openings were not very compelling either. He cited the supposedly abnormally warm climate in the polar regions, and believed that there was no ice beyond a certain latitude. He also invoked the alleged northward migration of polar birds and animals, the erratic behaviour of the compass near the poles, and the aurora borealis, which he believed was caused by the sun’s rays reflecting off the internal oceans and emerging through the polar holes. He held that polar explorers had probably sailed some distance over the rim of the openings, but not far enough to realize where they were. His critics argued that a person in the interior world would be nearly weightless, and that the centrifugal force arising from the earth’s rotation would do little to offset the upward pull exerted by much of the rest of the globe. Symmes, however, rejected Newtonian physics and held that gravity was a pushing force exerted by tiny, hollow, etheric particles. Symmes played a major role in popularizing the idea of a hollow earth in the United States, but his notion of huge polar openings earned him a great deal of ridicule. References to ‘Symmes’ hole’ were common in the 1820s. If someone suddenly disappeared, the reply was often: ‘Oh, I expect he’s gone down into Symmes’ hole.’ Symmes announced that he was prepared to lead an expedition to the inner world. He said that his only terms were ‘the patronage of this and the new world’, and that he dedicated his quest to his wife and her ten children. On at least nine occasions, petitions signed by hundreds of Symmes’ supporters were presented and debated before the US House of Congress with the goal of financing such an expedition, but without success. However, enthusiasm for Symmes’ ideas appears to have been largely responsible for the US Exploring Expedition of 1838-1840, which first determined that the Antarctic was of continental dimensions. While Symmes was apparently the first person in modern times to speak of polar openings leading into a hollow earth, there were echoes of this idea in the writings of several 17th-century writers. For instance, in Mundus Subterraneus (Subterranean World), published in 1665, Jesuit scholar Athanasius Kircher (1602-1680) gathered together a mass of knowledge and speculation about the earth’s interior, and the book became a bestseller in scientific circles.13 Drawing on the works of various medieval writers, Kircher asserts that the northern oceans flow through four channels into an open polar sea and enter a great whirlpool at the north pole. They then proceed through a system of rivers and reservoirs within the earth and are finally spewed out at the south pole. He likened this to the human digestive system and the recently discovered circulation of blood. 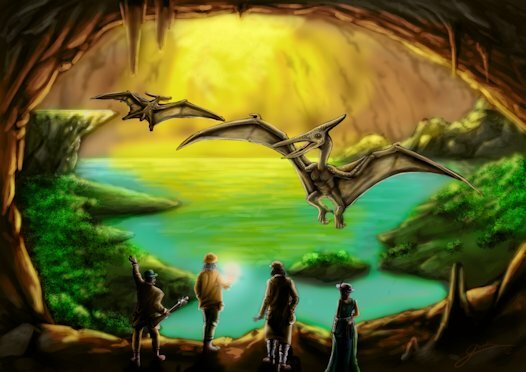 He also believed that the earth’s interior contains a network of channels and chambers filled with fire and lava, while other subterranean caverns and passageways are the home of giants, dragons, spirits and demons. 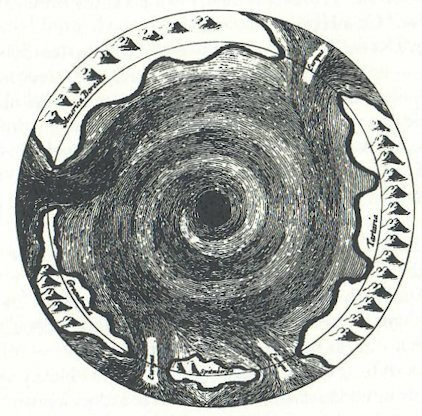 Kircher’s diagram showing the oceans being sucked into an opening at the north pole. 1871 saw the publication of The Hollow Globe,14 a book written by Wm.F. Lyon, based on information channelled through M.L. Sherman, a clairvoyant. The central idea of the book is that the earth is a hollow sphere, with a shell some 30 to 40 miles thick, and that the interior surface is a beautiful world, in a more highly developed condition than the exterior, and is accessible by a spirally formed aperture located in the ‘unexplored open polar sea’. The earth’s inner concave surface is said to be habitable. The book presents various arguments against the then widely-held theory that beneath its thin crust the earth was filled with molten lava. It suggests that spiritual powers or ‘world-builders’ made all planets hollow, because that is the simplest and most economical shape, providing the greatest amount of strength compatible with the smallest amount of material. Another notable book is Etidorhpa or The End of Earth by John Uri Lloyd, first published in 1895.16 Written in the form of a novel – a story within a story – it appears to contain a certain amount of scientific and esoteric information. The earth is depicted as hollow, with an outer shell 800 miles (1280 km) thick. (This is certainly more plausible than the figure of 30-40 miles (50-65 km) given by Lyon and Sherman; some hollow-earthers suggest a figure of 1000 miles or even 2000 or more miles.) The shell is said to be honeycombed with caverns, containing a wide variety of plant and animal life. At a certain depth below the earth’s surface, the earth begins to generate its own luminosity. Gravity is said to increase to a depth of about 10 miles (16 km) below sea level, and then to steadily decrease, reaching zero at the ‘sphere of rest’, 700 miles (1120 km) below the outer surface, and 100 miles (160 km) from the inner surface. No details are given of the inner world, or inner circle, but the implication is that it is habitable. 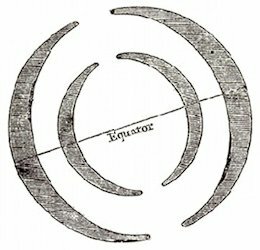 Edmond Halley, ‘An account of the cause of the change of the variation of the magnetical needle, with an hypothesis of the structure of the internal parts of the earth’, Philosophical Transactions, v. 16, 1692, pp. 563-78, us.archive.org; N. Kollerstrom, ‘The hollow world of Edmond Halley’, Journal for History of Astronomy, v. 23, 1992, pp. 185-92, dioi.org; Walter Kafton-Minkel, Subterranean Worlds: 100,000 years of dragons, dwarfs, the dead, lost races & UFOs from inside the earth, Port Townsend, WA: Loompanics Unlimited, 1989, pp. 52-4. Fiction: The hollow earth as concept and conceit, Münster: LIT Verlag, 2012, pp. 3-33). Ed Sandifer, ‘Euler and the hollow earth: fact or fiction?’, April 2007, eulerarchive.maa.org. Letters of Euler on Different Subjects in Natural Philosophy. Addressed to a German Princess, vol. 1, 1833, letters XLIX and L, pp. 176-82, us.archive.org. Letters of Euler on Different Subjects in Natural Philosophy. Addressed to a German Princess, vol. 2, 1835, letter LIX, pp. 203-7, archive.org. James McBride, Symmes’s Theory of Concentric Spheres; demonstrating that the earth is hollow, habitable within, and widely open about the poles, 1826, pp. 132-3, archive.org; David Standish, Hollow Earth: The long and curious history of imagining strange lands, fantastical creatures, advanced civilizations, and marvelous machines below the earth’s surface, Cambridge, MA: Da Capo Pres, 2006, p. 48. John Leslie, Elements of Natural Philosophy, Including Mechanics and Hydrostatics, 2nd ed., 1829, pp. 449-53, archive.org; Griffin, ‘What curiosity in the structure: the hollow earth in science’, pp. 9-10. C. Lapworth, ‘The heights and hollows of the earth’s surface’, Proceed. R. Geogr. Soc., v. 14, 1892, pp. 688-97 (p. 697). 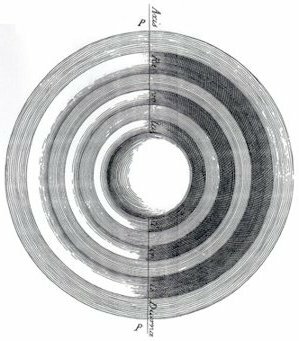 McBride, Symmes’s Theory of Concentric Spheres, archive.org; Subterranean Worlds, pp. 56-73; Joscelyn Godwin, Arktos: The polar myth in science, symbolism, and Nazi survival, Grand Rapids, MI: Phanes Press, 1993, pp. 109-12; Duane A. Griffin, ‘Hollow and habitable within: Symmes’s theory of earth’s internal structure and polar geography’, Physical Geography, v. 25, no. 5, 2004, pp. 382-97, facstaff.bucknell.edu; Standish, Hollow Earth, pp. 39-84. Captain Adam Seaborn (C.J. Symmes), Symzonia: A voyage of discovery, 1820, xroads.virginia.edu. Arktos, pp. 106-8; Subterranean Worlds, pp. 50-2; Standish, Hollow Earth, pp. 21-4. M.L. Sherman and Wm.F. Lyon, The Hollow Globe; or the World’s Agitator and Reconciler. A treatise on the physical conformation of the earth, Chicago: Religio-Philosophical Publishing House, 1871 (Mokelumne Hill, CA: Health Research, 1971); 2nd ed., 1876. ‘The Hollow Globe. By M.L. Sherman’, The Theosophist, v. 5, no. 10, pp. 251-4, July 1884 (davidpratt.info). John Uri Lloyd, Etidorhpa or the End of Earth, Cincinnati: Robert Clarke Company, 1895, 11th ed. 1901; reprinted by Mokelumne Hill, CA: Health Research (healthresearchbooks.com), 1983; and Kila, MT: Kessinger (kessinger.net), n.d.
Callum Coats, Living Energies: An exposition of concepts related to the theories of Viktor Schauberger, Bath: Gateway Books, 1996, pp. 133-4. The Phantom of the Poles by William Reed was published in 1906,1 and A Journey to the Earth’s Interior by Marshall B. Gardner was first published in 1913.2 These two books have had an enormous influence on virtually all subsequent writers on the hollow earth. On the basis of the accounts of polar explorers, both authors came to the conclusion, independently of each other, that at the north and south poles there were large entrances to the earth’s interior. Reed held that the earth’s shell was 1000 miles thick, and that the southern polar opening was 1500 miles in diameter and the northern one 1000 miles in diameter. Gardner believed that the earth’s shell was 800 miles thick, and both openings 1400 miles across. Reed, like Symmes, seemed to think that sunlight shining into the polar openings would be sufficient to illuminate the interior, while Gardner believed in a central sun, 600 miles in diameter. Like Symmes, Gardner was an evangelist, and mailed scores of copies of his book to professors, legislators, presidents and kings. The earth according to Gardner. If a gigantic polar hole did exist, and if the earth’s convex outer surface curved smoothly inward until it became the inner concave surface, it would in theory be possible to walk or sail from the earth’s exterior to the interior and back, provided conventional ideas about gravity are flawed. The highest point of the rim or verge around the entire hole would be the ‘north pole’ in the sense that the polestar would be directly above the head of a person standing there. As the rim was approached, a degree of latitude would become ever shorter, giving explorers the impression that they had travelled much further than expected. Many of the arguments for large polar holes presented by Gardner and Reed are the same as Symmes’. Most are very feeble and some are patently ridiculous. Reed, for example, argued that the flattening of the poles (which he apparently understood to mean that the poles were literally flat!) proved that there must be a polar opening, as this would detract from the earth’s roundness. As an example of how the hollow earth with its central sun may have formed, Gardner cited the Ring Nebula in the constellation Lyra, which looks like shells of gas surrounding a star, and which he believed would eventually contract into a planet with a central sun. Such nebulae were in fact called ‘planetary nebulae’ in the astronomy texts of that day because they look much like planets in low-powered telescopes. However, the central star of the Ring Nebula is much larger than any known planet, and the shell of gas surrounding it, millions of miles across, is expanding, not contracting, because the Ring Nebula is the remnant of a nova or exploding star. Gardner also believed that the Andromeda Nebula was in the early stages of becoming a planet, whereas it is now known to be a galaxy larger than the Milky Way. Reed, writing in 1906, argued that the reason the north pole had not been discovered was because it did not exist on the earth’s surface but in midair, in the centre of the polar opening. Gardner, on the other hand, published his book several years after the north pole had apparently been reached: Dr Frederick A. Cook claimed to have reached it in April 1908, and Commander Robert E. Peary in April 1909. However, Gardner highlighted the bitter dispute that erupted between these two explorers and their supporters (see part 3). He suggested that both had spent weeks wandering lost on the verge of the northern polar hole, and that Peary in particular may have had a problem telling the truth. Both Reed and Gardner assumed that the inner world had a warm climate and that warm air escaping through the northern polar hole caused the Arctic to be abnormally warm. However, while carefully selecting examples of polar explorers encountering warm conditions in certain parts of the Arctic, they tend to ignore the bitter cold that is far more prevalent. It is well known that the climate within the arctic circle varies greatly depending on latitude, proximity of the sea, elevation and topography, and that warm ocean currents around some of the arctic coasts allow an abundance of marine life. In the northern hemisphere the zone of lowest temperature (the ‘cold pole’) lies in eastern Siberia, several hundred kilometres south of the arctic circle, in a region far removed from the moderating influence of the ocean. Here temperatures as low as -71°C have been recorded. At Olekminsk, which lies some 1100 km from the nearest ocean, the temperature can be as low as -60°C in the winter but as high as 45°C in the summer – the greatest temperature range in the world; its all-year average is about 0°C. The lowest all-year temperatures are found in the Greenland interior, with an all-year average of -29°C. This is because, in contrast to the thin ice cover in Siberia, the Greenland ice sheet never completely melts in summer.3 On 5 April 1969 Wally Herbert and his Transarctic Expedition team found the temperature at the north pole to be -37.2°C. Obviously Reed and Gardner’s hot air must have been blowing in the wrong direction at the time! Reed and Gardner propagated the view that instead of an ice-covered ocean in the far north, there was an open polar sea. This view was held by many 19th-century explorers but was disproven by Fridtjof Nansen’s epic voyage in the Fram from 1893 to 1896, though Reed and Gardner managed to convince themselves otherwise (see part 3). Reed argued that polar meteor showers, and the dust and stones found in arctic ice were the debris of volcanic eruptions in the interior world, and that coloured snow was caused by massive amounts of pollen originating from lush plant and flower growth inside the earth. Gardner claimed that the frozen mammoths found in Alaska and Siberia were from the earth’s interior; they had allegedly died while searching for food, fallen into the ice and been quick-frozen, and had then been carried over the verge of the opening by ocean currents. The reason they were often well preserved was because they had died only recently. However, many mammoth carcasses have been found frozen into the tundra hundreds of miles from the ocean and the vast majority are not well preserved. Reed and Gardner speculated that the earth’s interior was probably inhabited. Gardner believed it was the original home of both the Eskimos and all the East Asian peoples. He even suggested that the ‘up and outward position’ of Chinese eyes may be ‘a modification of the ordinary eye position induced by the fact that in the interior the sun is always in the zenith’! He called on all fellow-patriots to urge the American government to mount an expedition to colonize the inner world, as this ‘would add the most glorious page yet written to the annals of the United States’. 1998 saw the publication of Jan Lamprecht’s book Hollow Planets,7 which attempts to tackle the issue from a more scientific angle. But he, too, believes that there is a massive coverup taking place to conceal polar holes measuring perhaps 200 miles across, and offset from the geographic poles (see part 3). Lamprecht at least puts paid to the idea that a large northern polar opening can be seen on certain satellite photos8 – which some writers claim were released to the public before the authorities realized what they showed and before the photos could be falsified or suppressed. The ‘holes’ mostly turn out to be storms and temporary circular air currents. What’s more, they are found in all manner of locations: for instance, one satellite photo shows a feature 900 miles in diameter over the Kamchatka Peninsula in Russia (see figure below), while another shows a feature 800 miles across over Greenland. But it seems that for some hollow-earthers even a polar opening that changes size and jumps from place to place is preferable to none at all! William Reed, The Phantom of the Poles (1906), Mokelumne Hill, CA: Health Research, 1964, sacred-texts.com. Marshall B. Gardner, A Journey to the Earth’s Interior or Have the Poles Really Been Discovered (2nd ed., 1920), Mokelumne Hill, CA: Health Research, 1964, sacred-texts.com. Isaac Asimov, The Ends of the Earth: The polar regions of the world, New York: Dutton, 1990, pp. 158-60, 206. Walter Kafton-Minkel, Subterranean Worlds: 100,000 years of dragons, dwarfs, the dead, lost races & UFOs from inside the earth, Port Townsend, WA: Loompanics Unlimited, 1989, p. 66. Raymond Bernard, The Hollow Earth (1964, New York: Carol Paperbacks, 1991; revised ed., Mokelumne Hill, CA: Health Research, 1977, ourhollowearth.com. E.g. : Brinsley Le Poer Trench, Secret of the Ages: UFOs from inside the earth, St Albans, Herts. : Panther, 1976; William L. Brian II, Moongate: Suppressed findings of the U.S. space program, The NASA-military cover-up, Portland, OR: Future Science Research Publishing Co., 1982; Mark Harp, ‘A case for the hollow earth theory’, Nexus, Dec 1994 - Jan 1995, pp. 35-41; Joseph H. Cater, The Ultimate Reality, Pomeroy, WA: Health Research, 1998, pp. 88-99; Alec Maclellan, The Hollow Earth Enigma, London: Souvenir Press, 1999; Sadek Adam, Hollow Earth Authentic, Pomeroy, WA: Health Research, 1999. Jan Lamprecht, Hollow Planets: A feasibility study of possible hollow worlds, Austin, TX: World Wide Publishing, 1998 (hollowplanets.com). W.R. Corliss (comp. ), The Moon and the Planets, Glen Arm, MD: Sourcebook Project, 1985, p. 227. Don Wilson, Our Mysterious Spaceship Moon, London: Sphere Books, 1976; Don Wilson, Secrets of our Spaceship Moon, London: Sphere Books, 1980. See Tim Cullen, ‘Liesegang cavities: 2 – The ringing moon’, 28 July 2015, malagabay.wordpress.com. Hamish Lindsay, ‘ALSEP: Apollo Lunar Surface Experiments Package, 19 November 1969 - 30 September 1977’, Apollo Lunar Surface Journal, 2010, hq.nasa.gov. Quoted in Secrets of our Spaceship Moon, p. 95. ‘NASA research team reveals moon has earth-like core’, 1 June 2011, nasa.gov. 3) it would not have a magnetic field. All these objections make the convenient assumption that current theories of seismicity, gravity and geomagnetism are correct, but as shown in part 1, there is good reason to doubt this. The solid-earth model is based on assumption upon assumption about every parameter. Regarding the second objection, it has already been shown that the true mass and density of the earth are unknown. The other two objections are considered below. The dominant boundary in the earth’s interior is believed to be that between the mantle and outer core. The vast majority of seismic waves are thought to travel through the mantle and many bounce back and forth between the earth’s outer core and the surface. Very few are believed to penetrate the outer core, and even fewer pass through the inner core. The depth of the core-mantle boundary is said to be 2900 km, but this is likely to be wrong if scientists are wrong about the density distribution within the earth. As shown in part 1, seismologists are known to be making systematic errors in their interpretations of seismic data even in the outer few kilometres of the earth’s crust. As mentioned earlier, there are two main types of seismic waves that pass through the body of the earth: P waves and S waves. P waves can travel through solids, liquids and gases, while S waves can only travel through a solid medium. Because virtually no direct S waves appear beyond 103° from an earthquake epicentre, scientists have concluded that S waves do not penetrate the core. P waves, on the other hand, are almost entirely absent between approximately 103° and 142° from the epicentre of an earthquake, from which it is concluded that they do penetrate the outer core, but are sharply refracted when entering and leaving, thus creating the ‘shadow zone’. Scientists infer from this that the outer core is liquid. Theoretically, it could be gaseous, but this is regarded as impossible. It could be argued that what scientists call the crust and mantle corresponds to the outer solid shell of a hollow earth, while the outer core is the ‘hollow’ cavity, and the inner core is a central sun. Scientists maintain that P waves, but not S waves, pass through the liquid outer core. But would this be possible if the outer core were really a ‘hollow’ cavity? Clearly, hollow-earthers would not argue that the earth’s interior is an absolute void. The earth’s outer surface is covered by a gaseous atmosphere, the outer regions of which are an ionized gas (plasma), which thins until it merges into the interplanetary medium (an even more attenuated plasma), which stretches to the sun (believed to be a ball of plasma). The space between the earth’s inner surface and an inner sun may contain similar grades of matter. *Substituting ‘empty space’ and field equations for an all-pervading medium is unsatisfactory; abstract mathematical descriptions explain nothing (see Space, time, and relativity, davidpratt.info). Light propagates through the ether rather than an absolute void. It is known that certain electromagnetic waves in the atmosphere can produce sound waves when they strike the earth. But the speed of light is some 33,000 times greater than the theoretical seismic velocities in the ‘outer core’. As explained in part 1, seismic waves are said to travel faster with increasing depth within the earth, until they reach the outer core. However, seismic velocity decreases in matter of increasing density, assuming its elastic properties remain the same. The solid-earth model therefore assumes that the elastic properties change faster than density with increasing depth. But it could also be argued that, beyond a certain shallow depth, density starts decreasing. If the earth were hollow and the inner surface of its solid shell were habitable, the force of gravity on both the outer and inner surfaces would have to be directed ‘downward’, i.e. into the shell. That would mean that there must be a zone of zero gravity somewhere within the shell, where these two forces cancel. Etidorhpa places this ‘energy shell’ or ‘sphere of rest’ at a depth seven eighths of the distance from the outer to the inner surface. Beyond that depth, density would increase again as we approach the inner surface. In this model, seismic waves would therefore travel faster with increasing depth due to decreasing density, rather than increasing density, as far as the zero-gravity belt. 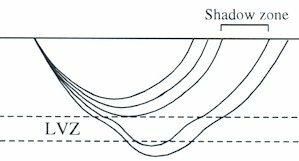 To explain the S-wave shadow zone, the zero-gravity belt would have to reflect virtually all S waves, and it could also reflect most P waves. The P waves that pass through would be moving into denser matter and instead of following a U-shaped ray path, their paths would curve downwards. As a result, P waves could be channelled some distance around the earth before they emerge and reach the surface, thereby creating the P-wave shadow zones. In this model, rather than P waves travelling more slowly through the ‘outer core’ than through the mantle, most may not travel through the cavity at all but make a detour around it, so that their slower speed is only apparent. However, if virtually no P waves travel through the cavity, some explanation other than a central sun would be needed to account for the seismic data that have been interpreted in terms of an inner core. 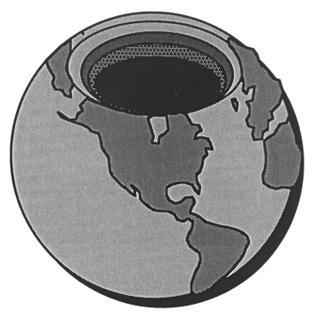 In Jan Lamprecht’s hollow-earth model, the solid outer shell is about 4500 km thick, while the rest of the core is replaced with a cavity; he claims that this model is fully consistent with seismic data.3 He mistakenly believes that seismic-wave velocity in solids increases with increasing density (assuming the elastic properties remain constant), whereas the opposite is the case. He argues that at a depth of about 3000 km the density of the mantle reaches a maximum and then starts to decline, which causes seismic waves to slow and therefore be refracted around the cavity, accounting for the P-wave shadow zone (marked in green). He fails to mention the much larger S-wave shadow zone, but it would have to be linked to his belt of maximum gravity. Seismic data alone cannot determine whether the earth is solid or hollow, because they cannot be interpreted without making certain fundamental assumptions. As indicated in part 1, the conventional assumptions about gravitational acceleration, density and pressure within the earth are open to doubt. It is therefore possible that seismic waves follow different paths and have different velocities than scientists think, and that the standard earth model is far removed from reality. A rotating planet can be compared to an electrical solenoid.6 A solenoid consists of a coil of wire, and when a current is passed through it, a magnetic force is generated at right angles to the direction of the wire. Since planets carry charges with them in their atmosphere and crust, this generates electrical currents in the direction of rotation, or east-west. The magnetic field is generated at right angles to this, i.e. north-south. 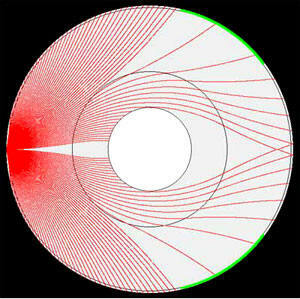 The most detailed alternative model of the geomagnetic field has been developed by Harold Aspden, who argues that the field is generated mainly by ether spin.7 More specifically, it arises from charge displacement caused by the spinning ether sphere located within the earth and extending about 100 km above its surface, in conjunction with a balancing charge displacement in the matter constituting the physical earth. Aspden explains that, with a distributed core charge of one polarity and a compensating surface charge of opposite polarity, the earth’s rotation would produce a magnetic field that matches what is observed. The reason the magnetic poles are offset from the geographic poles is because the ether sphere spins about an axis that is tilted with respect to the earth’s spin axis; the ether spin axis is aligned with the geomagnetic poles and describes a circle around the north and south celestial poles in the course of each day. The reason the magnetic poles move around the earth’s geographic poles is because the ether spin axis precesses around the earth’s spin axis. In the light of Aspden’s theory, a spinning, ethereal central sun could play a key role in generating the main magnetic field. Other factors contributing to the irregular and varying nature of the overall geomagnetic field include electric currents in the ionosphere and magnetosphere, magnetized rocks in the earth’s crust, electric currents in the earth’s crust (telluric currents), subterranean flows of brines and other conducting fluids, and ocean current effects.8 The concentration of charges in the atmosphere fluctuates according to a 24-hour cycle, just as the magnetic field undergoes daily fluctuations. The field increases during solar flares and sunspot activity, when the earth receives more charged particles. Rocks cannot retain magnetism when the temperature is above the Curie point (about 500°C for most magnetic materials), and in the standard earth model, this restricts magnetic rocks to the upper 40 km of the earth’s interior. In the hollow-earth model, on the other hand, only certain parts of the earth’s outer shell would probably be above the Curie temperature, and metallic deposits would make a far greater contribution to the earth’s permanent magnetism and to regional magnetic anomalies. Palaeomagnetic studies show that some ancient rocks have been magnetized in a direction opposite to that of the present magnetic field. The scientific consensus today is that the global geomagnetic field at the time these rocks formed had a reversed polarity. In at least some cases, however, rocks with inverse magnetism may have undergone self-reversal at a later stage, or reflect a regional magnetic anomaly. Even today there are isolated spots of opposite magnetic polarity in both the northern and southern hemispheres. If global magnetic reversals have occurred, they could be caused by the sign of the electric charge of the earth or its atmosphere, or the direction of electric currents in the crust or atmosphere being reversed by some mechanism. Aspden suggests that geomagnetic reversals could be due to the solar system periodically entering space domains in which electric polarities are reversed. 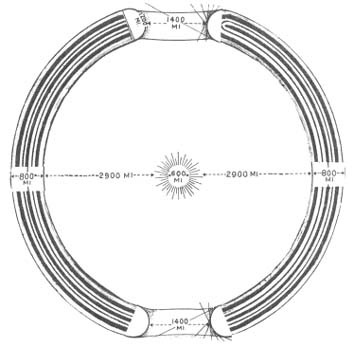 In addition, an electrochemical cell can self-reverse, and the earth may contain giant electrochemical cells.9 One of the exernal sources of the earth’s magnetic field is the ring current in the outer Van Allen radiation belt. Paul LaViolette argues that very intense solar activity could strengthen the ring-current magnetic field to such an extent that it could reverse the polarity of the earth’s main magnetic field.10 Furthermore, the sunspots of the outer sun are known to undergo polarity reversals in a cycle of about 22 years, and something similar might happen with an inner sun, contributing to magnetic anomalies at the earth’s surface. Given the problems faced by the dynamo theory and the existence of other ways of generating a planetary magnetic field, geomagnetism does not rule out the possibility of a hollow earth. D. McGeary and C.C. Plummer, Physical Geology: Earth revealed, 3rd ed., Boston, MA: WCB, McGraw-Hill, 1998, pp. 34, 45. Peter M. Shearer, Introduction to Seismology, Cambridge: Cambridge University Press, 2nd ed., 2009, p. 68, 76-7, ruangbacafmipa.staff.ub.ac.id. Jan Lamprecht, ‘Hollow planet seismology vs solid earth seismology’, bibliotecapleyades.net; Jan Lamprecht, Hollow Planets: A feasibility study of possible hollow worlds, Austin, TX: World Wide Publishing, 1998, pp. 96-109 (hollowplanets.com). Andrew Dominic Fortes, ‘The origin of planetary magnetic fields’, 1997, ucl.ac.uk. Frederic Jueneman, Raptures of the Deep, Des Plaines, IL: Research & Development Magazine, 1995, pp. 121, 124. Joseph H. Cater, The Ultimate Reality, Pomeroy, WA: Health Research, 1998, pp. 163-6. Harold Aspden, The Physics of Creation, 2003, haroldaspden.com, ch. 8, pp. 150-63. W.R. Corliss (comp. ), Science Frontiers: Some anomalies and curiosities of nature, Glen Arm, MD: Sourcebook Project, 1994, pp. 235-7; William R. Corliss (comp. ), Inner Earth: A search for anomalies, Glen Arm, MD: Sourcebook Project, 1991, pp. 147-51. Paul LaViolette, Earth under Fire, Schenectady, NY: Starlane Publications, p. 188. If the newtonian theory of gravity were correct, there could be no huge caverns in the earth’s outer shell and no tunnels connecting the outer and inner worlds. Even a few kilometres beneath the earth’s surface the immense pressures would cause any cavities to collapse. Moreover, a habitable inner surface, with gravitational forces holding inhabitants ‘down’, would be impossible, because the gravitational attraction of the matter beneath their feet would be counteracted by the gravity of the matter forming the earth’s shell above their heads – i.e. on the opposite side of the ‘cavity’ – and by the attraction of the inner sun. However, if, as several experiments suggest, the newtonian assumption that gravity has unlimited penetrability is incorrect, and negative particles and ions can screen or counteract the attractive force of gravity,1 pressures (and temperatures) would not increase steadily with depth, the earth’s shell could be honeycombed with cavities and tunnels, and the force of gravity on the inner concave surface could be compatible with life. Isostasy is the theoretical balance of all large portions of the earth’s crust as though they were floating on a denser underlying layer, about 110 km (70 miles) below the surface. Theoretically, if a section of lithosphere is loaded, e.g. by ice, it will slowly subside to a new equilibrium position; and if a section of lithosphere is reduced in mass, e.g. by erosion, it will slowly rise to a new equilibrium position. It might be argued that without a superheated, viscous mantle below the Moho boundary, isostasy would not work. In actual fact, whether the traditional ‘mantle’ exists or not, the simplistic theory of isostasy has already been shown to have serious shortcomings. Much of the evidence to support isostasy has come from observations of the apparent rebound of the crust following the retreat of the late Pleistocene ice sheets from northwest Europe and Canada. However, while the north of Sweden appears to be in the process of uplift, as ideas on isostasy require, the southern parts of the country are sinking. Since scientists largely base their estimates of mantle viscosity on selective data on ‘postglacial rebound’, their estimates are unlikely to be correct. The fact that there is no empirical basis for the common assumption that gravity is proportional to mass casts doubt on the standard interpretation of gravity measurements; rather than being a direct function of the quantity of matter, the strength of the gravitational force may depend on the electrical and other properties of matter. The defective theory of isostasy can certainly not be used to lend weight to the orthodox picture of the ‘mantle’. The earth’s crust has undergone oscillating uplifts and subsidences throughout geologic history. Most of the sediments forming the continents were laid down under the sea, and the total thickness of sediments is sometimes as much as 20 km, showing that vertical movements of about the same magnitude have taken place. There is also mounting evidence for submerged continental landmasses in the present oceans. It is widely believed that ‘mantle’ heat flow and vertical and horizontal movements of mantle material can cause significant changes in crustal thickness, composition and density, resulting in substantial uplifts and subsidences. Neither vertical crustal movements nor earthquakes and volcanoes require a solid earth, with a high-density, permanently superhot ‘mantle’. However, there must certainly be zones within the earth’s shell where very high temperatures exist. The theory of surge tectonics postulates that all the major features of the earth’s surface, including rifts, foldbelts, metamorphic belts and strike-slip zones, are underlain by shallow (less than 80-km-deep) magma chambers and channels, known as ‘surge channels’.1 Surge channels and complexes are believed to correspond to linear lenses of anomalous (low-velocity) upper mantle that are commonly overlain by shallower, smaller low-velocity zones. Seismotomographic data suggest that surge channels may form an interconnected worldwide network, which has been dubbed ‘the earth’s cardiovascular system’. Magma is said to flow horizontally and vertically through active channels at the rate of a few centimetres a year, and due to the earth’s rotation the preferred direction of flow is eastward. Horizontal flow is demonstrated by two major surface features: linear, belt-parallel faults, fractures and fissures; and the division of tectonic belts into fairly uniform segments. The magma is believed to originate in the asthenosphere, which is generally believed to consist of partially melted rock. Rather than being a global layer, the asthenosphere consists of disconnected zones, extending from about 60 to 150 km in depth. Drilling tens of kilometres into the crust to check seismic interpretations is technologically unfeasible at present. However, further information on the lower crust and upper ‘mantle’ could also come from the future discovery of tunnels and caverns extending to ‘impossible’ depths. The Veronja (or Krubera) Cave in the Abkhazia region of Georgia is currently the deepest known cave in the world, its deepest explored point being 2197 metres.3 South African gold mines are the deepest mines in the world and reach depths of up to 3.9 km. 80% of all earthquakes are said to take place in the upper 100 km, while the rest occur at depths of up to 700 km. * Most deep-focus earthquakes occur in Benioff zones, which are probably deep contraction fractures that formed early in the earth’s history. Moreover, as mentioned in part 1, such earthquakes suggest the existence of solid, brittle rocks at such depths, contrary to the conventional earth model. *It should be noted that all estimates of depth based on the interpretation of seismic data are likely to be wrong if the underlying assumptions concerning the earth’s interior are wrong. However, such estimates can be used as a relative indication of depth. 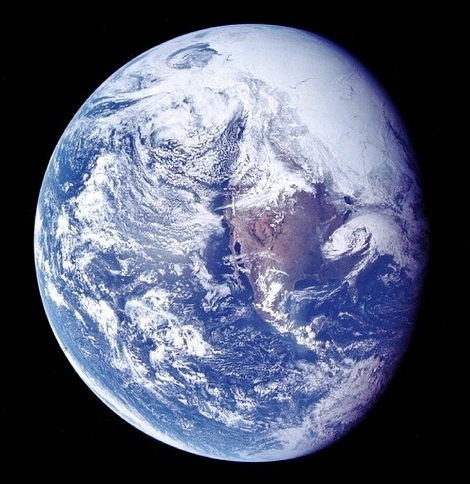 If scientific estimates of the temperature far below the earth’s surface are grossly exaggerated, the earth’s shell may contain far more liquid water than is currently believed. If water (from either surface or subterranean sources) comes into contact with locally superhot rocks, this would have explosive effects. Etidorhpa suggests that large quantities of water periodically come into contact with huge deposits of sodium and other metallic bases, and the violent chemical reaction that ensues forces melted rock and steam to the surface, resulting in earthquake or volcanic activity. As indicated in part 1, the movement of subterranean gases might also play an important role in such activity. In short, none of the geological activity observed at the earth’s surface proves the standard earth model or rules out a hollow earth. Several researchers have suggested that a spinning sphere might become hollow naturally. If the earth was initially in a more molten or plastic state and rotated faster than today, centrifugal forces could have partially counteracted the gravitational force, causing the highest-density matter to migrate to the outer zones, thereby ‘hollowing out’ the planet’s interior. Although scientists cannot be certain of the real masses and average densities of the planets, they do have a good idea of their relative masses and densities. That means that if the earth is hollow, it is highly likely that all the other planets, and also the sun, are hollow as well, otherwise astronomical predictions of celestial motions would fail, and the space programme would be impossible. Even the conventional values for the mass and average density of celestial bodies do not rule out their being hollow, since there could be a super-dense type of energy-substance concentrated at their centres. Paul LaViolette argues that the cores of both planets and stars produce what he calls ‘genic energy’, because they are supercritical regions of space where photons draw energy from the underlying ether. He argues that 15% of the sun’s energy could be supplied by genic energy, while the rest comes from nuclear fusion. He shows that the sun and low-mass stars (red and brown dwarfs) have the same mass-luminosity relation as the four gas giants (Jupiter, Saturn, Neptune and Uranus), suggesting that they are powered chiefly by the same energy generation mechanism. He maintains that genic energy can account for 73% of the earth’s entire thermal output, including all of the core heat flux. This would render unnecessary the current speculations that this heat comes from the gradual release of heat trapped since primordial times, or from the gradual solidification of a molten core, or from radioactive decay.4 Experiments in the 1920s and 30s showed that silicates, lavas and clays were able to spontaneously evolve heat, even though they were not radioactive5 – providing another potential source for the heat originating in the earth’s crust. Jones et al. have proposed that cold nuclear fusion might be an important source of the heat emanated by the earth.6 They argue that the fusion of deuterium and hydrogen deep within the earth would explain the high levels of helium-3 found in rocks, liquids and gases from volcanoes and in active tectonic regions of the earth’s crust. They point out that Jupiter radiates twice as much heat as it receives from the sun, and suggest that the excess heat could come from cold fusion in Jupiter’s core, which is believed to consist of metallic hydrogen together with iron silicates. LaViolette argues that while cold fusion might be feasible for planet-sized bodies, stars would exhaust their deuterium supply within a few million years due to their much higher luminosities, so that cold fusion does not explain why the planets share a common mass-luminosity relation with lower main-sequence stars. He states that although some degree of atomic dissociation may be taking place in the sun, this does not explain the origin of the energies that it ceaselessly emanates. Every star, he says, is ‘the outward vehicle of an indwelling spiritual and intellectual presence’; at their core resides ‘a divine monad of stellar origin and character’. And this solar logos or ‘god’ should not be thought of as being solely at the core of the physical sun, but rather as being in the invisible astral, mental and spiritual realms of the sun.2 De Purucker is here voicing a central tenet of the ancient wisdom: that every physical organism is the outer manifestation of a series of inner ‘energy fields’ or ‘souls’ of increasing subtlety and power. On earth, too, a series of chemical and alchemical processes are said to be constantly in progress, which differ from those taking place in stars and nebulae only in degree. Modern science is often inclined to adopt a sledgehammer approach in its study of nature. For instance, physicists widely believe that by smashing subatomic particles together at ultrahigh energies in particle accelerators and then studying the debris, they will be able to wrench from nature some of her deepest secrets. It is also commonly believed that nuclear fusion, whereby light elements combine into heavier ones, can take place only at temperatures of millions of degrees, such as are thought to exist in stars. Yet numerous experiments have shown that anomalous excess heat can be produced by a variety of poorly understood nuclear reactions, possibly involving fusion, at low temperatures and in relatively simple devices, instead of in reactors costing millions of dollars. ‘Cold fusion’ has generally been derided by the scientific establishment,4 though as noted above, some scientists have speculated that it may be taking place within the earth and other planets. Mainstream scientists dismiss the possibility of such alchemical transformations, as they believe that protons and neutrons can only be added to or removed from atomic nuclei by violent methods and under extreme conditions. But nature can apparently accomplish such things by gentler means as well. Kervran argued that the occurrence of low-energy transmutations, sometimes with the help of bacteria, helps to explain the origin of metals and the composition of successive geological strata. It would seem that no model of the earth and its evolution can be correct or complete if it ignores the evidence for subtler states of matter and alchemical transmutations. Peter James, The Tectonics of Geoid Changes, Calgary, Alberta: Polar Publishing, 1994, pp. 19-23; Peter James, ‘Is isostasy a real phenomenon?’, New Concepts in Global Tectonics Newsletter, no. 3, pp. 3-4, 1997. Charles H. Hapgood, The Path of the Pole, Philadelphia: Chilton Book Company, 1970, pp. 352-60; V.V. Beloussov, Geotectonics, Moscow: Mir, 1980, pp. 259-61. Arthur A. Meyerhoff, Irfan Taner, A.E.L. Morris, W.B. Agocs, M. Kaymen-Kaye, M.I. Bhat, N.C. Smoot and Dong R. Choi, Surge Tectonics: A new hypothesis of global geodynamics (D. Meyerhoff Hull, ed. ), Dordrecht: Kluwer, 1996. V. Sánchez Cela, Densialite: A new upper mantle, Zaragoza: University of Zaragoza, 2000, pp. 176-8. H.C. Sheth, ‘Flood basalts and large igneous provinces from deep mantle plumes: fact, fiction, and fallacy’, Tectonophysics, v. 311, 1999, pp. 1-29. Erwin J. Saxl, ‘An electrically charged torque pendulum’, Nature, v. 203, 1964, pp. 136-8. W.R. Corliss (comp. ), Earthquakes, Tides, Unidentified Sounds and Related Phenomena, Glen Arm, MD: Sourcebook Project, 1983, pp. 89-96; Charles Officer and Jake Page, Tales of the Earth: Paroxysms and perturbations of the blue planet, New York: Oxford University Press, 1993, pp. 32, 37, 45. Joseph H. Cater, The Ultimate Reality, Pomeroy, WA: Health Research, 1998, pp. 83-7. Jan Lamprecht, Hollow Planets: A feasibility study of possible hollow worlds, Austin, TX: World Wide Publishing, 1998, pp. 25-6. H.P. Blavatsky, The Secret Doctrine (1888), Pasadena, CA: Theosophical University Press, 1977, 1:33, 144, 252fn. Ibid., 1:116-7, 159, 260; 2:153. Dialogues of G. de Purucker, Pasadena, CA: Theosophical University Press, 1948, 2:325-6; G. de Purucker, Fundamentals of the Esoteric Philosophy, Pasadena, CA: Theosophical University Press, 2nd ed., 1979, p. 407; A.T. Barker (comp. ), The Mahatma Letters to A.P. Sinnett, Pasadena, CA: Theosophical University Press, 2nd ed., 1975, p. 79. G. de Purucker, Fountain-Source of Occultism, Pasadena, CA: Theosophical University Press, 1974, p. 295; Dialogues of G. de Purucker, 1:33. H.P. Blavatsky Collected Writings, Wheaton, IL: Theosophical Publishing House, 1950-91, 5:154-61. Fountain-Source of Occultism, pp. 299, 154. Don Scott, ‘The electric sun’, users.qwest.net/~dascott/Sun.htm. Don Scott, ‘Sudbury Neutrino Observatory report: an analysis’, electric-cosmos.org. Harold Aspden, ‘Tapping nature’s energy source’, 2005, aetherometry.com. Paul LaViolette, Subquantum Kinetics: A systems approach to physics and cosmology, Alexandria, VA: Starlane Publications, 2nd ed., 2003, pp. 189-204; Paul LaViolette, Genesis of the Cosmos: The ancient science of continuous creation, Rochester, VE: Bear and Company, 2004, pp. 318-27 (etheric.com). C. Brush, ‘Retardation of gravitational acceleration and the spontaneous evolution of heat in complex silicates, lavas, and clays’, Physical Review, v. 31, 1921, p. 1113; E.A. Harrington, ‘Further experiments on the continuous generation of heat in certain silicates’, Proceedings of the American Philosophical Society, v. 72, no. 5, 1933, pp. 333-49. S.E. Jones et al., ‘Observation of cold nuclear fusion in condensed matter’, Nature, v. 338, 1989, pp. 737-40; ‘Rocks reveal the signature of fusion at the centre of the earth’, New Scientist, 6 May 1989, p. 30. ‘Particle shower sprays upward’, Science News, v. 118, 1980, p. 246. G.de Purucker, Fountain-Source of Occultism, p. 298. G. de Purucker, The Esoteric Tradition, Pasadena, CA: Theosophical University Press, 3rd ed., 2013, p. 226. Charles G. Beaudette, Excess Heat: Why cold fusion research prevailed, South Bristol, MA: Oak Grove Press, 2000; Tadahiko Mizuno, Nuclear Transmutation: The reality of cold fusion, Infinite Energy Press (infinite-energy.com), 1998. Peter Tompkins and Christopher Bird, The Secret Life of Plants, New York: Harper & Row, 1973, pp. 274-91; C.L. Kervran, Biological Transmutations, Woodstock, NY: Beekman Publishers, 1980, pp. 70-3; C. Louis Kervran, Biological Transmutations, Magalia, CA: Happiness Press, 1989, pp. 43-5, 48-50, 59-60, 68-9, 87-8, 100-1, 157. Biological Transmutations, 1980, p. 72. The Secret Life of Plants, p. 279. Rudolf Hauschka, The Nature of Substance, London: Vincent Stuart Ltd., 1966, pp. 11-20, 67-9, 118-20, 122-3.